Does Oregon need or want more of this? Gov. John Kitzhaber has framed Oregon’s so-called clean-fuel program in terms of jobs. It sounds like wishful thinking. If this program showed promise of being good for Oregon by actually creating lots of jobs in the private sector without doing any harm, every legislator including Republicans would be for it. 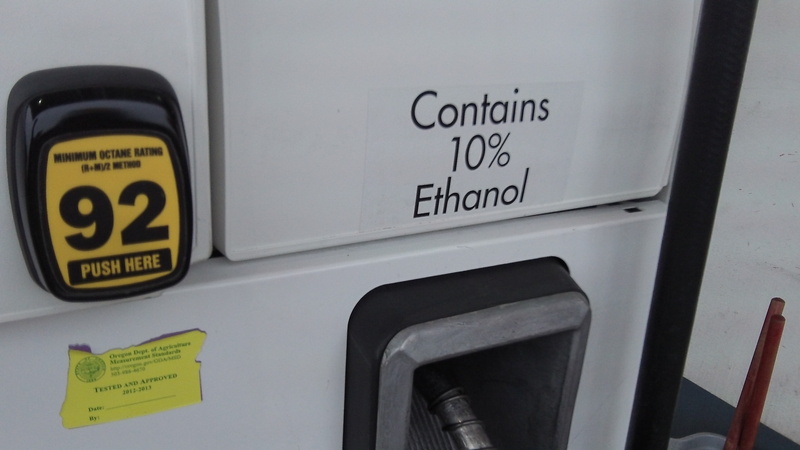 Democrats in the legislature enacted the low-carbon fuel program in 2009, demanding that the “carbon intensity” of motor fuels be reduced 10 percent by 2020. But to get it passed, the backers had to agree to a sunset clause that ends the program in December 2015. Democrats tried but so far have failed to get that a repeal provision taken out. Now the governor says the program will go ahead regardless. Good luck with that. The fact is that if the law is not renewed, the program will die, as it should, before it needlessly raises the price of fuel in Oregon even higher than it already is. In a press release announcing his directive to the DEQ, Kitzhaber spoke of sparking “a homegrown clean fuels industry right here in Oregon, an industry with a big impact in communities urban and rural alike.” Translation: These new fuels, ethanol or biofuels or compressed natural gas or whatever, can’t make it now because they are not competitive. Either they harm engines and reduce mileage, or they cost far more to produce than conventional fuels, so we have to make the price of fuel go up for these xanaxcost.com ventures to have a chance. Even if that approach worked, why exactly would that clean-fuels industry spring up in Oregon and not some other state with higher subsidies or lower taxes on business income? In 2012, Kitzhaber said, “Oregonians sent more than $6 billion out of state to import gas and diesel, while homegrown, low carbon fuel producers remain locked out of a promising market.” Locked out? Who keeps them out? If they had something that worked well and cost less, people would be lining up around the block to buy it. If not having a refinery in Oregon is a problem, as Kitzhaber implies, how about trying to entice one to be built? As for the burgeoning electric vehicle industry, the only way the clean-fuel program helps them is to raise the price of gas and force its producers to pay the electrics a ransom, which is one of the aspects of the state program. All Kitzhaber has to do is make promises. If result don’t pan out he can blame whom he feels is the best target. We’ve done great with un-leaded fuel. Leave it at that! This talk from him about fuel economy from a guy who lives in Portland & commutes to Salem at taxpayers expense!!?? I believe he uses OSP officers as chauffeurs! O.K., that’s one job.